In today's hectic life-style everyone is searching for an instant fix. Instant coffee, instant access, 2 minute noodles, instant food, time appears to be needing saving only to add more stress and problems to an already over stressed population. A ride on the bike offers only temporary relief, the problems are still there after the ride is over. 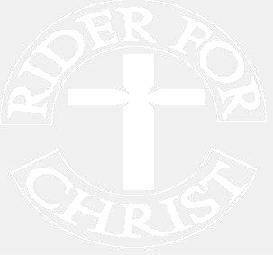 Unlike the bike, Jesus Christ is not a temporary fix that takes us away from our problems. He is, and supplies the power, to go through anything. Jesus does not always relieve us of our situation but as in the 23rd Psalm, He will lead us THROUGH the valley of the shadow of death and out the other side. Jesus is not a quick fix for the maladies of life, nor will He guarantee wealth, success, fame or a life free from spills or crashes. Have you ever wondered what we are doing here and where we are going? So few people have any knowledge of the answers to these questions. Lets start with the first question "What are we doing here?" Well, long long time ago at the dawn of history, God the creator of this world, created man in his image to be friends with Him and to love Him and for God to shower us with His pure love. But we blew it, we disobeyed God and mankind has continued to disobey God down through the ages until even today. Because we disobeyed God we brought separation between God and us, causing sickness, pain, hurts, and death with everykind of wrong doing. God has made a jail for all these things to be contained forever. It was never God's intention that we as people should ever be placed in this jail. Nothing that we can do will bridge the separation between man and God. None of our good works, going to church, or even other religions can bridge this gap. It is said that "all roads lead to Rome" meaning that there are many paths to God. But every one of these paths lead away from God and fail miserably in their attempt to bridge the gap. God in His mercy has provided an amnesty box, that if we take the oppotunity of it our jail sentence will be lifted and we will be free once again, just as God intended at the beginning of time. You may well ask "What is this amnesty box and what does it mean?" God's amnesty box is His Son Jesus Christ. If we take advantage of God's mercy through Jesus Christ we shall escape that jail term that is waiting for us. By accepting the fact that Jesus has already done the time for us. He lived His life as a man who did no wrong, yet he died as one who did. He paid the price for all of our wrong doing, making restitution to God and opening the only way for us to be friends with God once again. Now that God has done everything He can do for us to regain the right relationship with Him, "What can we do?" When we are truely sorry and want to live a new life, and have asked God to take away our jail sentence, He will. I know, for He did this for me, and what he did for me he can also do for you. Now for the second question. "Where are we going?" With the jail sentence removed we can be friends with God again. God is a true friend who will NEVER leave us even when the times get tough. God is there to help us through it until the good times roll. We need to decide if we will choose to accept God's mercy at the amnesty box or the judgement. We must weigh the cost of following Jesus, though it is a free gift given freely, it will cost everything. Jesus gave His life for us, we likewise also must give our live, that is our own desires, ambitions, hurts, resentments to God so that God can work His plan for life through us. This new life is all or nothing, choose for yourself, listen to that inner voice, Who will you follow? The narrow road and lifestyle designed from the beginning of time for you? or continue on the highway that you are already on, with no respite or help. As for me, I will follow Jesus Christ, as long as I have breath. Click "CLOSE" to close this window and then you will return to my page after reading this tract.